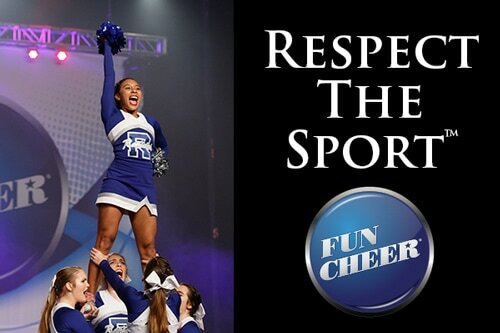 Fun Cheer® | A Division of Cheer Brands, Inc.
Programs may select any hotel of choice. Programs that need hotels can select any hotel in San Antonio that will accomodate their needs. 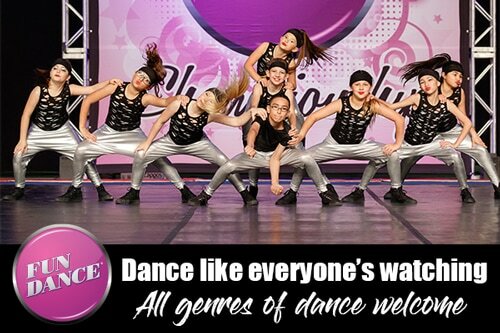 You can only register if your teams compete at our competitions. 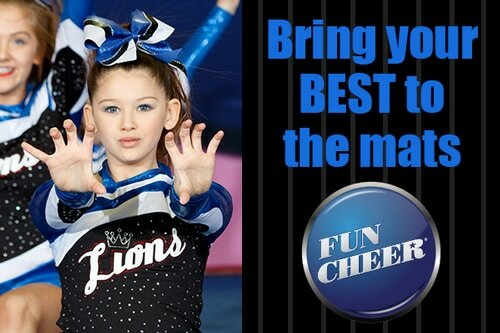 Search for Fun Cheer®, Texas Cheerleader® Magazine and now Cheer World®! 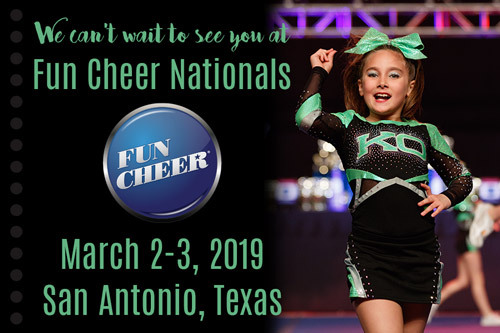 Compete at our Fun Cheer® National Championship in 2019. We will host our National Championship in San Antonio, Texas. Fun Cheer® National Champion Jackets Awarded to ALL Division Winners. Register Today! Cheer World® - Where Every Team Can Compete™ - In 2019, Cheer World® will host 2 All-Access National Championships™ in San Antonio and one in Denton, Texas. Cheer World® Champion Jackets Awarded to Level Grand Champions! Cheer World® will also host a 1-Day Championship in McAllen, Texas. 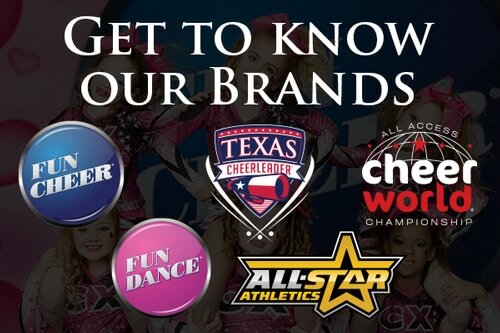 Cheer World® - is a registered trademark of Cheer Brands, Inc.
Fun Cheer® is a division of Cheer Brands, Inc.